This is a sneak peek of a project I have been working on... an alphabet poster commissioned by Happy Bunny & Mr Happy Bunny! F is for Floaties. Obviously. The poster is cottage themed and it's been so nice to dive in to a world of sandcastles and bumble bees and forget that it's snowing out. Also, since it's for baby bunny, who I met for the first time a couple weeks ago, it's a good excuse to paint and think about how awesome and adorable he is. 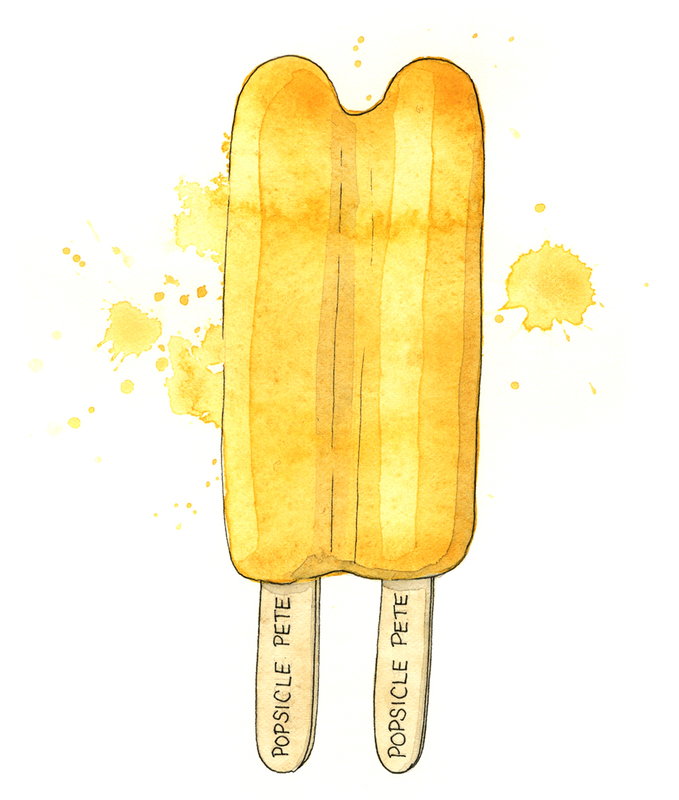 P is for Popsicles. Banana is the best flavour! T is for Tubing. And also, Terrifying. In other, less summery news, our Christmas Tree is up! The list of Christmas-themed things that Finn has eaten this year is now including: a ball of red & green yarn, an electronic glowing santa pin, some walnuts in the shells, two owl themed tree ornaments, a fabric santa bookmark, and a letterpress garland. He has a voracious appetite for destruction.